I’m sure a lot of people are disenfranchised about today’s politics as I am and I was especially dissatisfied with the last presidential debate of this country’s mainstream and overexposed candidates and their lackluster and uninformative debate. It was nothing but propaganda and talking points that have been regurgitated for so many years by both parties that it has become nothing more than white noise. If you heard this weeks presidential debate you will have heard nothing new except for a lot of lies and misapplied facts that did nothing more than perhaps confuse an already uninformed public. A good alternative I found to this was the “extended” debate that was held by Democracy Now! with the 3rd party candidates from the Green and Justice parties. Not only did you hear the nonsense that was spewed by both Romney and Obama but you also got to hear alternative opinions that you won’t be hearing during the regular debates (because the Commission of Presidential Debates are run by both the Democratic and Republican parties and the one thing they both agree is to keep 3rd party candidates out of the debates and the public eye). 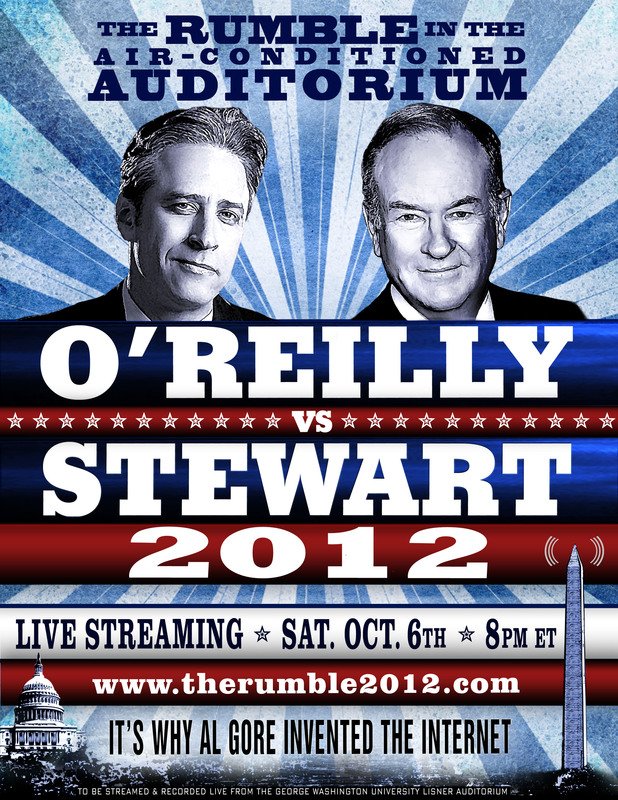 Also, John Stewart and Bill O’Reilly decided to have a debate of their own. Even though they aren’t running for president and they aren’t politicians, it was still, in my opinion, more informative and definitely more entertaining than the real one. They tackled a lot of serious issues and contrasted their pundit point of views on some of the issues that were discussed in the Presidential debates plus other issues that weren’t. I believe that John Stewart of course came 0ut on top by pulling the veil from a lot of O’Reilly’s props that he used to push his “fair and balanced” arguments. I had no problem spending $4.95 to download and watch this debate and I recommend that anyone who is politically and socially conscious or who has questions about the state of this nation should find $5.0o and download this immediately. You’ll laugh, you’ll scream in anger at the opposing point of view, but more importantly you’ll be informed. And that should be the point of a debate. Definitely check out both these options to get a better picture and scope of the issues that are affecting our country and what other options you have as a voter. Here’s another rant from Sam Seder regarding some outdated and stupid regulation against homosexuals. Just another reason why I really can’t be bothered listening to politics anymore for fear that it will induce an unwanted psychotic rage. Instead I’ll continue watching the World Cup games. Go Uruguay!